So, you want to be a Broadway musical book writer. 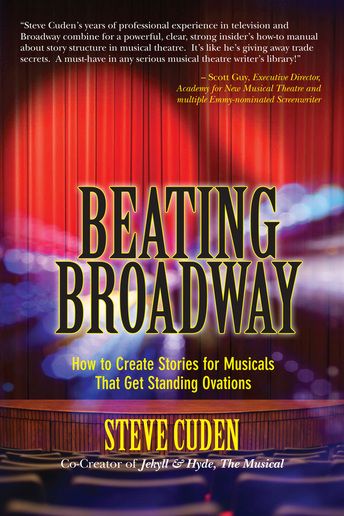 If you read "Beating Broadway: How to Create Stories for Musicals That Get Standing Ovations" (Cudwerks Productions, 2013) By Steve Cuden, you just might be on your way. Cuden, who co-wrote the book and lyrics for Broadway's Jekyll & Hyde (music by Frank Wildhorn), cleverly puts together an informative, organized and practical "how to" in his hefty book divided into two "acts." Act One is is the elements of constructing a story for a musical. what are the rules? How is the story structured? How to do it. Act Two is a breakdown of the "narrative beats" of more than 30 Broadway musicals, both classics and more modern shows, giving the breakdown of their scenes and highlighting where the common parts of their story structure happen, like inciting incidents, point of no return, climax, etc. Book of Mormon, A Chorus Line, The Fantasticks, Camelot, Jersey Boys, The Producers, West Side Story, Wicked -- they're all in there. By offering the story breakdowns from shows with which we are familiar, Cuden effectively translates the abstract world of plots, format and formula to tangible application. This section not only is helpful in building story structure, but is a terrific breakdown of these musicals which can be used for reference. A bonus section also includes the breakdowns of five movie musicals with some insights into why stage musicals don't always transition well on the big screen and vice versa. This book is a must read for anyone seriously interested in writing books for musicals. It also has a lot of information helpful to anyone in the process of storytelling in general. Cuden's credits also include film and TV and has written scripts for "Lucky," "X-Men," "Loonatics Unleashed," Extreme Ghostbusters," "The Pink Panther," "Robo Cop" and others. For more information and to purchase the book, visit http://www.beatingbroadway.com/about-steve-cuden.html or stevecuden.com. Quidam: a nameless passer-by, a solitary figure lingering on a street corner, a person rushing past and swallowed by the crowd. It could be anyone, anybody. Someone coming or going at the heart of our anonymous society. A member of the crowd, one of the silent majority. The one who cries out, sings and dreams within us all. This is the "quidam" whom this show allows to speak. This is the place that beckons - a place for dreaming and genuine relations where all quidams, by proclaiming their individuality, can finally emerge from anonymity. Quidam is directed by Guy Laliberté whose credits include Cirque du Soleil (1985), La magie continue (1986), We Reinvent the Circus (1987), Nouvelle expérience (1990), Saltimbanco (1992), Mystère (1993) Alegría (1994), Quidam (1996), La Nouba and "O" (1998). He also directed the full-length feature Alegria, which came out in the spring of 1999. Endless fun as acrobats, jugglers, clowns and even audience members entertain for about two hours under expansive curved trussing that allows performers to fly and even walk on air. It's breathtaking, awe-inspiring stuff. "Statue," where a man and a woman (Yves Decoste and Valentyna Sidenko), showcasing their very toned muscles, move as one while striking amazing poses of balance with grace and dexterity. "Skipping ropes" which highlights individual jump roping skills and brings the large ensemble together for an amazing group routine. "Clown Cinema," featuring clown Toto Castineiras trying to direct a movie with participants from the audience. Every time Castineiras was on stage the cute little boy in front of me giggled contagiously. "Banquine," a spectacular with 15 performers doing a routine of human pyramids and acrobatics that make cheerleading competitions look lame. Banquine is an Italian acrobatic tradition with origins that date back to the middle ages (and yes, that's straight out of the program -- again, I won't pretend to have taken in anything but the pure spectacle f the experience). This act won a Golden Clown at the Monte Carlo Circus Festival. "In Quidam, Cirque du Soleil takes a new approach to vocals. For the first time, the fragility of a childlike voice combines with the strength of a man’s voice to create a powerful blend of sensitivity and intensity. The musicians follow the artists’ movements and ensure they are in sync with the act." The crowd here was not a theater audience, with people talking, taking photos and filming video throughout the show. The security sweep to get into the facility would make the TSA proud. This New York engagement is very limited, running only through this Sunday, July 28 at the Barclays Center, 620 Atlantic Ave Brooklyn, NY. Buy tickets by clicking here. For a list of tour cities, click here. Next stop: Florida. 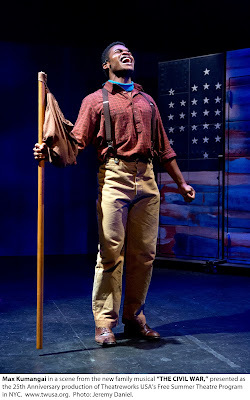 Theatreworks USApresents the Off-Broadway premiere of the new children's musical The Civil War as the 25th Anniversary production of the company's annual Free Summer Theatre Program. The show opens at the Lucille Lortel Theatre (121 Christopher Street) Thursday and continues through Friday, Aug. 6. THE CIVIL WAR is the story of people from different backgrounds fighting for the future of the nation - both sides believing they are fighting for freedom. Incorporating traditional songs from the period and many different character perspectives, this historical musical brings to life for the next generation of young people a major event in the history of our country. Directed by Jonathan Silverstein and choreographed by Tracy Bersley, THE CIVIL WAR features a book and additional lyrics by Arthur Perlman with arrangements and additional music by Jeff Lunden. Adam Fontana stars as Will, Max Kumangai as Zac, Alyse Alan Louis as Jackie, Jim Stanek as Johnny, and Michael Thomas Walker as Sarge. Understudies are Zach Bencal, Sara Glancy and Aaron Wright. The production features scenic design by Kevin Judge, costume design by Sydney Maresca, lighting design by David Lander and the sound design by Carl Casella. 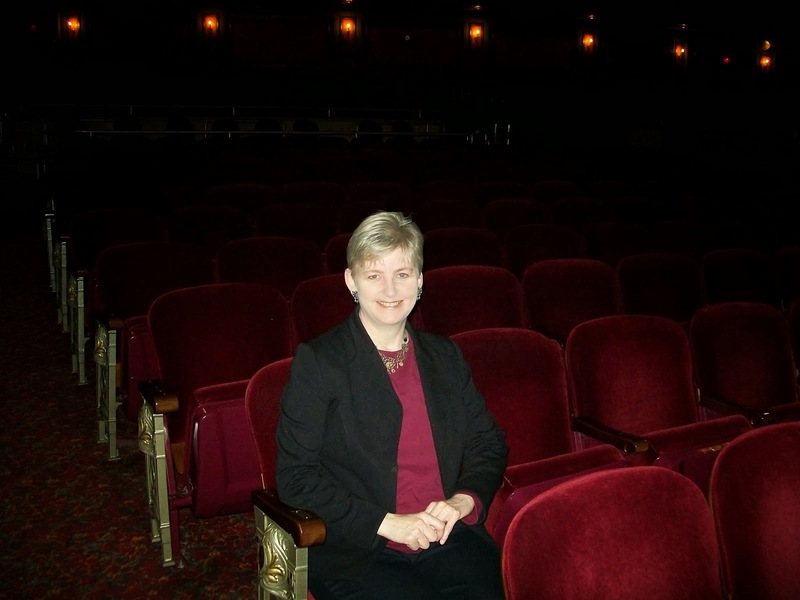 Logan Culwell serves as music director and the production stage manager is Byron F. Abens. Launched in 1989, the mission of Theatreworks USA's Free Summer Theatre Program is to provide New York City youth with their own theatre tradition that not only entertains, but also educates and fosters positive values and an appreciation for theatre. This summer 15,000 free tickets will be distributed to The Civil War. Free tickets are available on a first-come, first-served basis in-person at the Lucille Lortel Theatre Box Office (121 Christopher Street) on the day of the performance. Tickets for each day's performances will be distributed beginning one hour prior to the first performance of the day. There is a limit of four (4) tickets per adult per day. 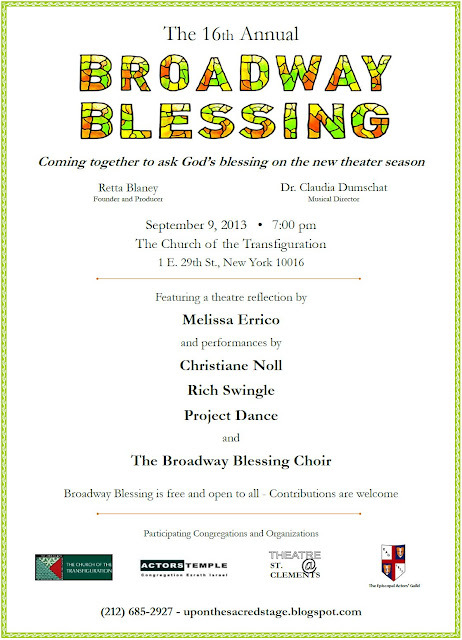 The show is a 60-minute, one-act musical recommended for children ages 8 and up. Dark on Saturdays. 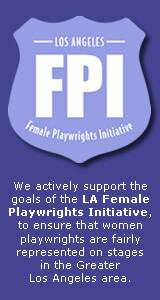 SCHEDULE EXCEPTIONS: There are no 1 pm performances July 15-17 and no 10:30 am performance on Thursday, July 18. There are added 6 pm performances on Thursday, Aug. 1 and Thursday, Aug. 15. (No free tickets are available for the opening night benefit, Thursday, July 18 at 6:30 pm. ).Summer camps, youth programs and social service organizations can make reservations for groups of fifteen (15) or more by calling 212.627.7373. Because Theatreworks USA accepts reservations from summer camps, individual tickets are extremely limited for the weekday daytime performances. 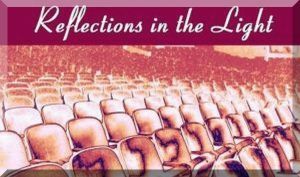 Reservations cannot be made by the general public unless making a donation: For every $50 you donate, you are entitled to one reserved VIP seat for the performance of your choice (excluding the opening night benefit on Thursday, July 18 at 6:30 pm). Limit 10 tickets per order. No exchanges or refunds. For more information, call 212.647.1100 x131 or email development@twusa.org. Availability is better for evening and weekend shows, which are entirely open to the public. Once all group tickets are distributed, any remaining patrons will be admitted at curtain time on a space-available basis. For more information, please visit www.TWUSA.org. Its a ghost story. Well, actually a few ghost stories and Irish storytelling at its best in a revival of McPherson's 1997 play with a strong ensemble cast wonderfully directed by Ciaran O'Reilly. Jack (Dan Butler) stops in at the Irish pub owned by Brenden (Billy Carter) to shoot the breeze and put back a few. They are joined by Jim (John Keating) and the subject of conversation turns to the new woman in town, Valerie (Tessa Klein) who is being shown around town by hotel owner Finbar (Sean Gormley) before stopping at the pub. It seems there's a bit of a ghost story attached to the house where Valerie is staying and as liquor loosens tongues and inhibitions, a few ghostly tales are told. 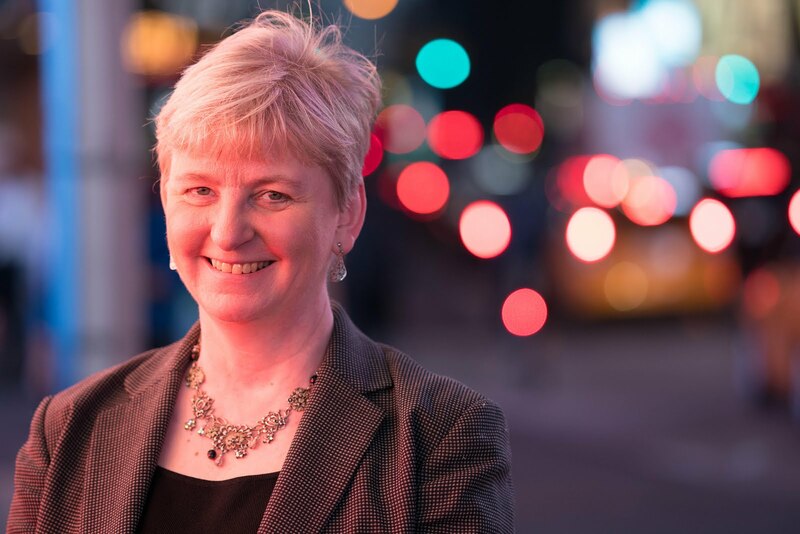 At first the men apologize to Valerie, but she has reasons of her own to be interested in their tales.Beyond being a storytelling fest, the play is a study of loss, loneliness and longing. Top-notch production all around and a beautifully detailed set designed by Charlie Corcoran. Butler is particularly fascinating to watch as his character becomes more influenced by alcohol. None. This is a sit-back-and-enjoy show. The Weir (which is actually a sort of damn on a waterway) has been extended through Sept. 8 at Irish Rep, 132 West 22nd St., NYC. Performances are Wednesday at 3 and 8 pm | Thursday at at 7 pm | Fridays at 8 pm | Saturday at 3 and 8 pm and Sunday at 3 pm. The show runs 90 minutes without intermission. 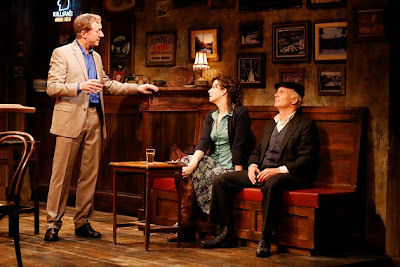 Tickets: http://www.irishrep.org/theweir.html.